RLCGA Past Captain Gillian Kyle was delighted to receive Honorary Membership at the 95th AGM as East Renfrewshire GC has been a very big part of her life for around 40 years. The challenging course helped improve her golf over the years and she is very proud to represent the club in all the teams and competitions that she has played in at Club, County, National and at International level. Her Dad (Jack Inglis) started her off in the game and still takes a great interest today. Her initial aim was to win the Club Championship once, but gradually started targeting the records of the ladies who had won it multiple times (Brenda Livingston, Jenny Addison and of course Ann Prentice to name but a few). Never did she really expect to achieve this as each final was a well contested match. She gained confidence from each win which helped when playing in other competitions. 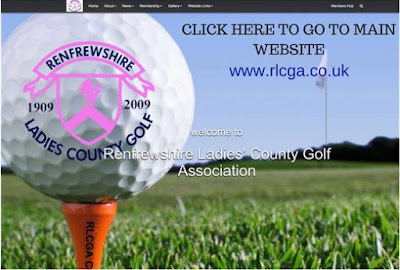 Lowering her handicap (presently 2.2) enabled selection for the Renfrewshire County team which lead to a higher level of competition. Turning 50 opened even more doors and the International events have been another experience that she could only have dreamt of. It’s a short career though and as Gillian says "there is always a young 49 year old waiting in the wings to steal a place on the team". 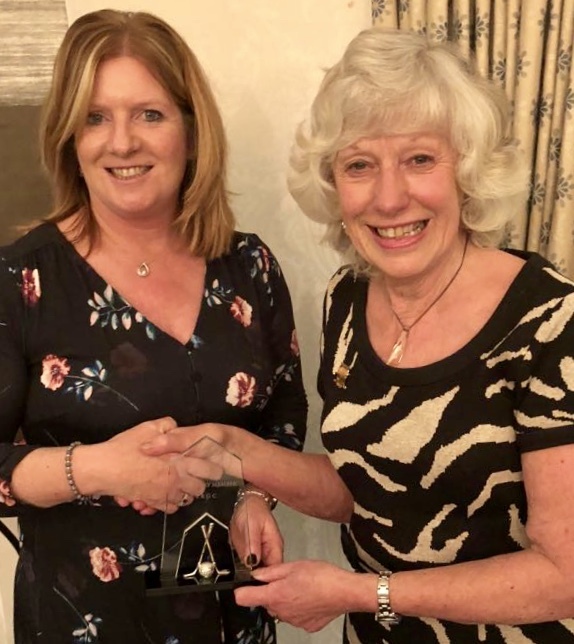 Gillian thanked her family and all the East Renfrewshire members, especially the Ladies, for their continued support by taking such an interest in her golf at the recent AGM and looks forward to representing East Renfrewshire for a long time to come. Wife of our new Vice Captain (Cammy), the mother of our current Club Champion (Alistair) and probably the mother of the future Ladies Club Champion (Sophie)!